The Meg review: Dumb as can be yet delivers the goods – AiPT! 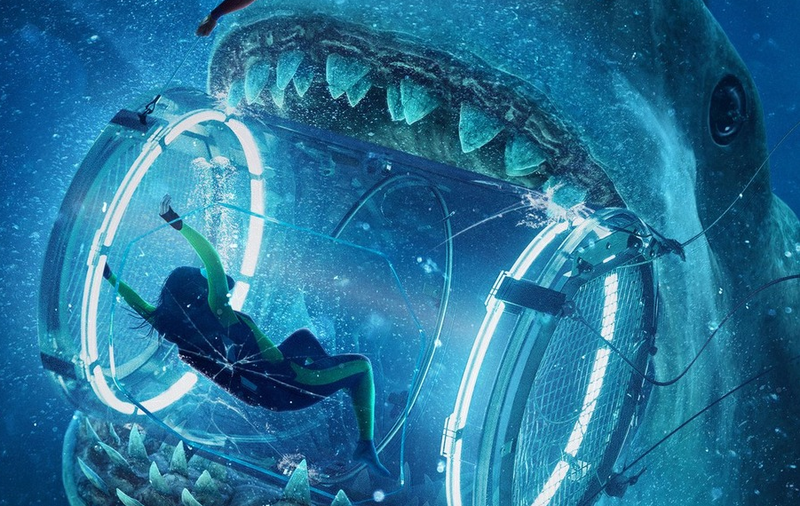 ‘The Meg’ is outrageous in concept right off the bat. The Meg is outrageous in concept right off the bat. In the far depths of the ocean, there is a 75-foot-long prehistoric shark known as Megalodon aka the Meg. It has apparently been extinct for over a million years but one man believes otherwise and unfortunately he is right. Do I need to say more? Jonas Taylor (Jason Statham) escaped this monster five years ago while rescuing a crew deep underwater, but no one else saw it or believed Jonas and instead he was blamed for leaving some of the crew to die. It cost him his career, his marriage, and his reputation. Now, a deep sea submersible is trapped at the bottom of the Pacific Ocean, disabled after being attacked by a creature described as similar to what Jonas once spoke of. His ex-wife is one of the people trapped on board, and Jonas gets the call to come in and save them. He heads to the research station where this is all taking place and meets the team in place there. Morris (Rainn Wilson), the eccentric/cocky billionaire who is funding the work being done, is on board visiting. He’s a piece of work and it is a well cast role for Wilson who has not been in too much recently. Jonas attempting to rescue the crew trapped in the submersible, along with his love interest Suyin (Bingbing Li), is only the first part of the film. After that is when The Meg really unleashes all of its fury. As ridiculous and dumb as the movie is, it’s quite a bit of fun. It delivers the goods in terms of what you would like from a shark movie. The action scenes are all cool, creative, and well done. It builds and builds in scope and size until the climax. There is even more shark mayhem than I honestly expected. Statham does a good job as Jonas. He’s one of my favorite actors when it comes to action heroes, and he does not disappoint here. The entire cast does a decent job. Good acting isn’t really what you see a movie like this for, so they all do fine jobs in their roles. The plot is obviously silly and the dialogue is not great. I guess that is part of the charm of a B movie like this. It knows what it is. With that said, it is not something you NEED to see. It is truly something to go watch if you just need to turn your brain off for two hours. Pure mindless entertainment. I don’t know if I would recommend paying full price to see it at the theater unless you are obsessed with sharks, but it is definitely a fun time. The Meg isn't amazing by any means, but it knows what it is and therefore the ridiculousness is quite fun. It's two hours of mindless entertainment, and sometimes that's all you need with a trip to the movies.